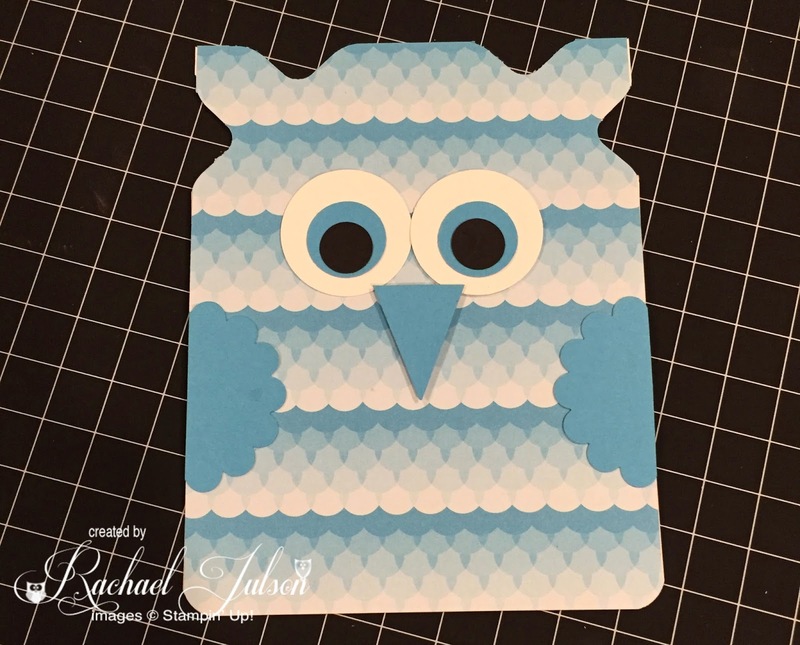 Today I'd like to share one of the projects that we did at my recent Envelope Punch Board class. I got this awesome idea from Laura Haffke. 1 piece of Designer Series Paper cut to 4 1/4" x 5 1/2"
1 piece of Whisper White cardstock cut to 4 1/4" x 5 1/2"
Score the long side of the piece of Whisper White cardstock at 1 1/2". Fold and apply glue to small flap. 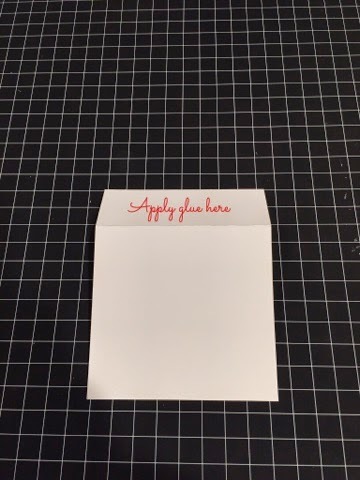 Adhere Designer Series Paper on top, keeping Whisper White cardstock in position shown below. 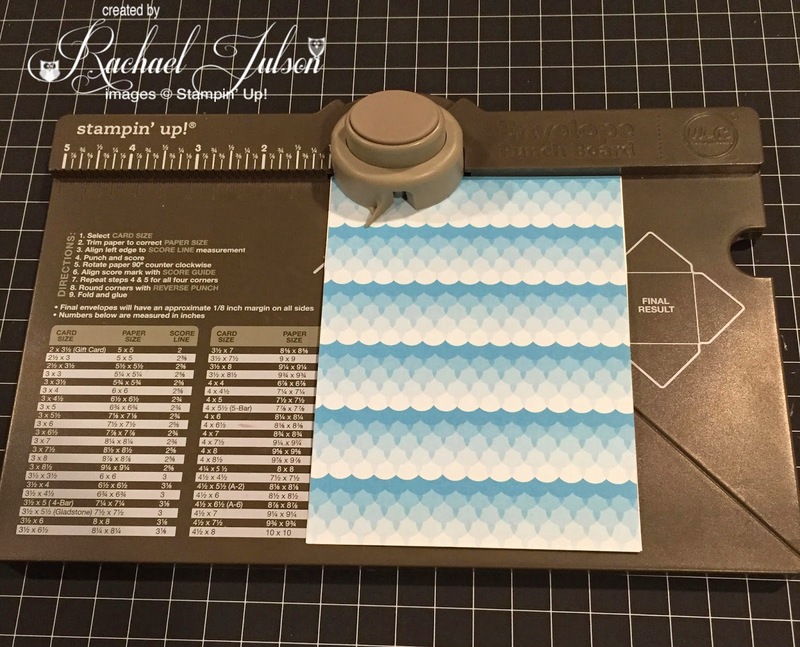 (Only the top 1 1/2" will be adhered, but all edges of both sheets will line up, as a regular card does). 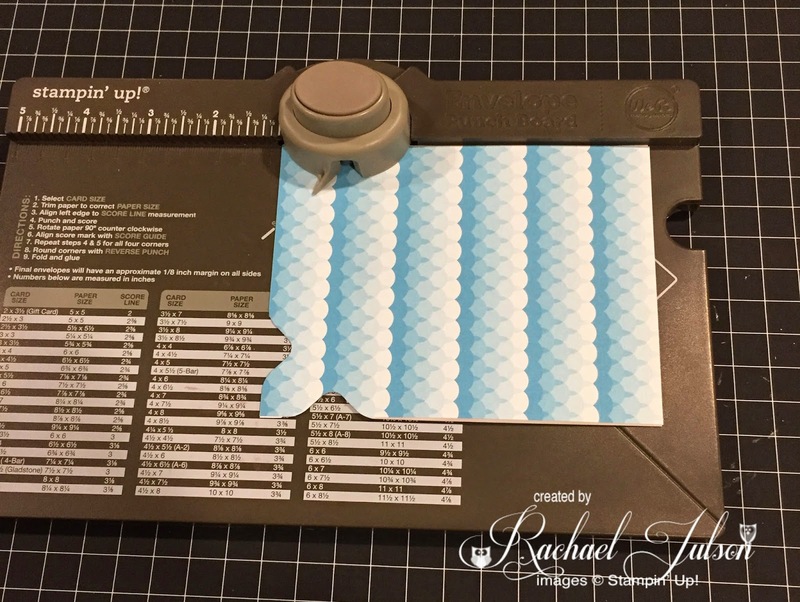 Line up the long side of your card to the 1" mark on your Envelope Punch Board. Punch (press hard, as you are going through 2 layers of paper). Flip paper over and rotate 90 degrees. Line up paper at 1" mark and punch again. Repeat steps 2 and 3 with opposite side of paper to create the 2nd ear. 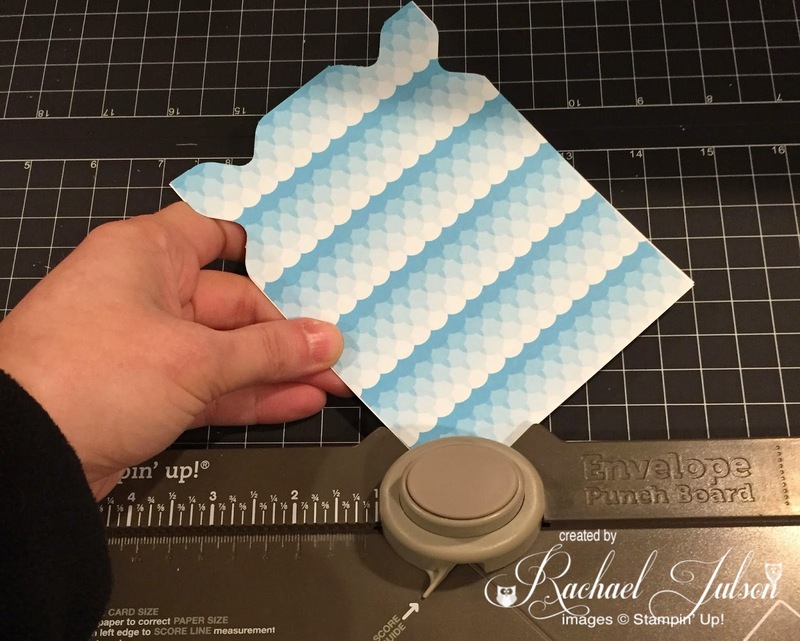 Use corner rounder tool to round bottom edges of card. 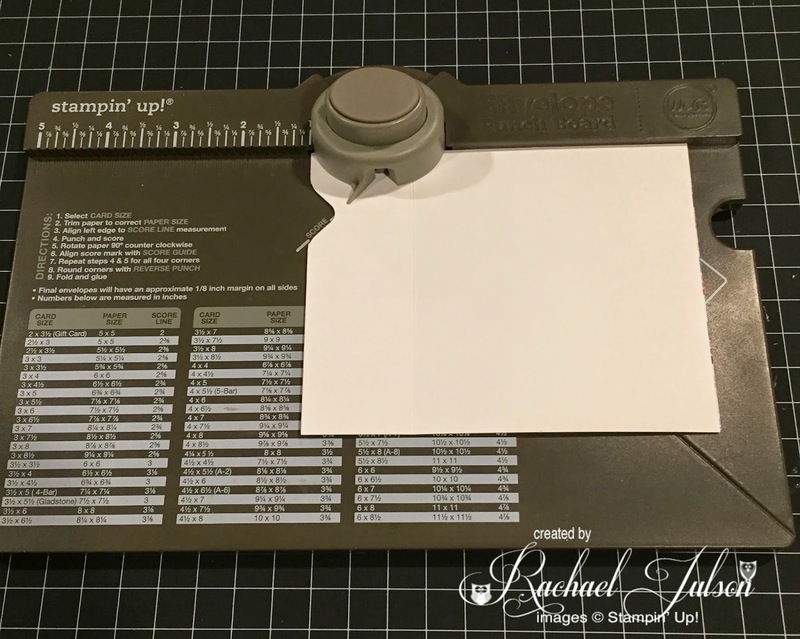 Interested in more ideas for the Envelope Punch Board? Purchase one from my online store and I will send you three FREE PDF tutorials!